Do you ever wonder what to do with yarn leftovers? 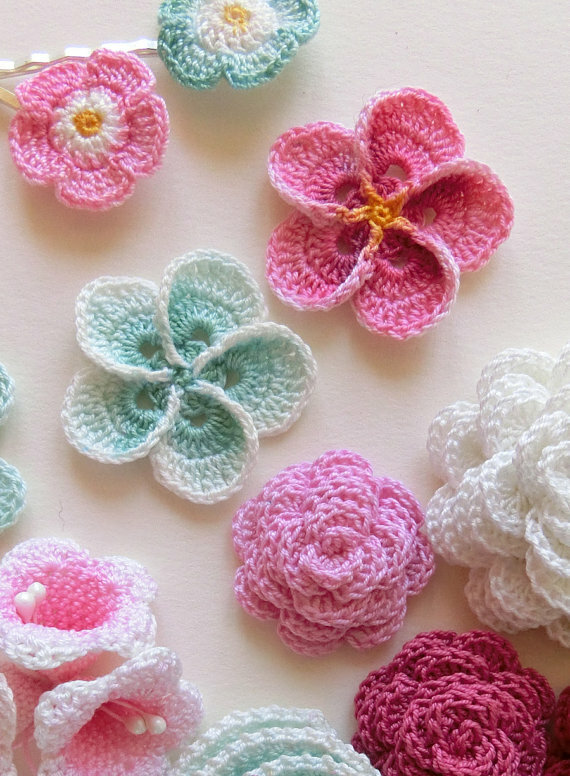 If you’ve got a stash of yarn from old projects spilling out all over the place that you’d like to use up in a cute, quick project that can be used in a dozen different ways, then this crochet flower pattern is for you. You can use one, two, or three colors to create unique flowers that resemble those in nature or buds that spring from your own imagination. 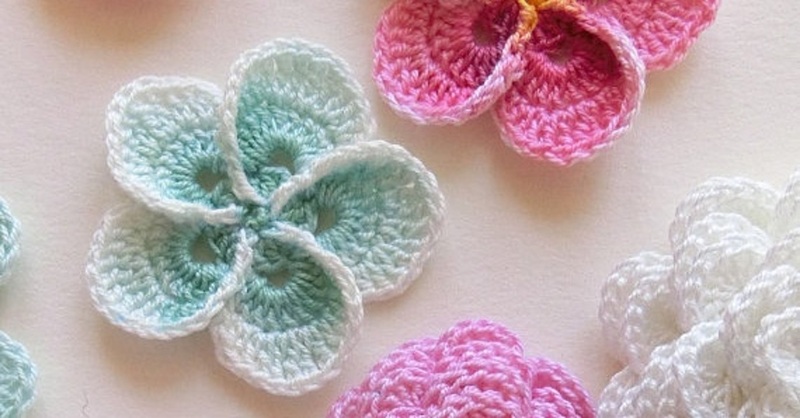 The free Five Petal Tropical Flower pattern suggests using a “G” hook and worsted weight yarn (you’ll also need scissors and a tapestry needle). It also has instructions for using one or two colors, as well as center detailing ideas (like adding buttons or beads), along with photos. You’ll need to know the following stitches: the Magic Ring, slip stitch (sl), single crochet (sc), and double crochet (dc). After you’ve crocheted a few of these beauties, they can be attached to scarves, hats, bags, bookmarks, cards, blankets, or slippers. You can string them together for a festive island garland, or scatter them across the table for a spring brunch – the possibilities are practically endless! Visit Little Monkeys Crochet for the free pattern and some inspiration!